No joke. 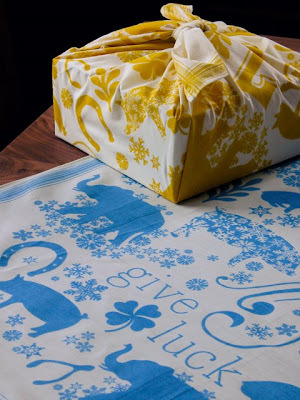 Our reusable fabric gift wraps are now available in the shop! Each one is a gesture of giving: GIVE LUCK. GIVE LOVE. GIVE WISDOM. 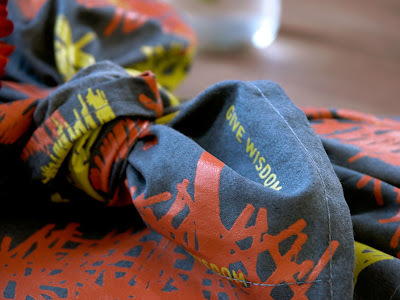 Hand-printed on 100% organic cotton with soy-based inks. Use it to wrap your boxes. 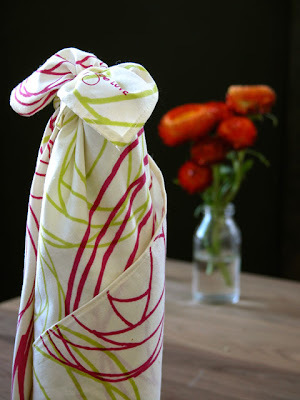 Use it to wrap your wine bottles. 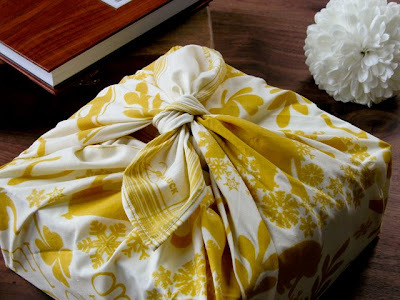 Use it to wrap book gifts. 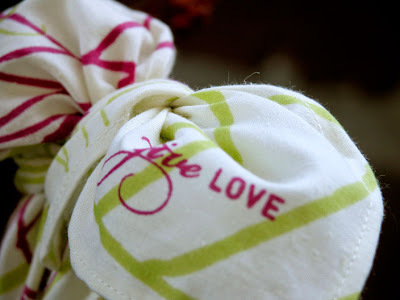 Your recipient receives a beautiful gift and presentation, and they can re-use it! Nifty eh? Beautiful! 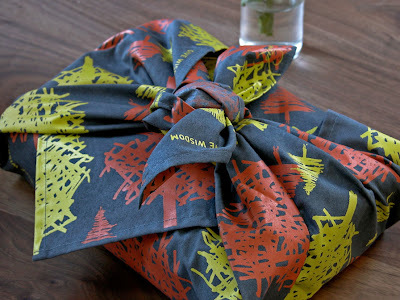 I write a blog about gift wrapping (www.thegiftedblog.com) and am always on the lookout for lovely wrapping ideas like this. Do you have a brick-and-mortar location? We're in the Bay Area for a few days and it would be fun to try to stop by. Love this Green idea! Totally going to share with my readers! just got mine in the mail! Going to write about it after the gift is given…and given…and given. Oh how we love these designs!!! Incredibly fun.